A company in China claims it has access to free, unlimited energy that provides constant work. A team of Chinese researchers from the Human Resource Management department at a XIULAB, one of the biggest manufacturers in Shenzhen, China, shocked the world after they announced they have finally unraveled the mysteries of perpetual motion machines. There is an undisputed scientific consensus that perpetual motion violates either the first law of thermodynamics, the second law of thermodynamics, or both. As such any claim of a perpetual motion machine should be regarded lightly, and that’s an understatement. 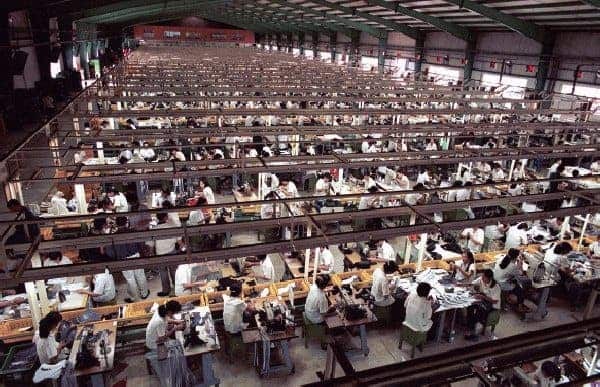 The team, led by No Pah King, senior research fellow at the XIULAB Human Resource Management department, states however that the laws of physics do not apply to the Chinese workforce. “After careful planning and many failed attempts and experiments in the past, we have finally come up with a complex system that constantly does work and never stops. The underlying mechanics can’t be shared to the public, due to company policy, but needless to say our manufacturing process is completely self-served by free energy,” says King. According to the Chinese manufacturer, thanks to their perpetual motion system the company has upped its production by 1000%. “It’s really impressive what they’ve managed to do. Clearly American ingenuity is lagging far behind, ever since the Civil War, and there’s much we can learn from our Chinese associates,” said Rich Launderette, a Nike spokesperson. Unofficial sources claim that the XIULAB system isn’t entirely perfect. Allegedly, some parts break down every now and then, but there always seems to be hundreds of spares lining up in front of the facility each day.